I’ve already confessed my love for fermented foods. We make kefir and sauerkraut on a regular basis, but there is usually one more ferment that hangs out on my countertop, happily collecting the yeasts of the air. And that beloved ferment is called sourdough. 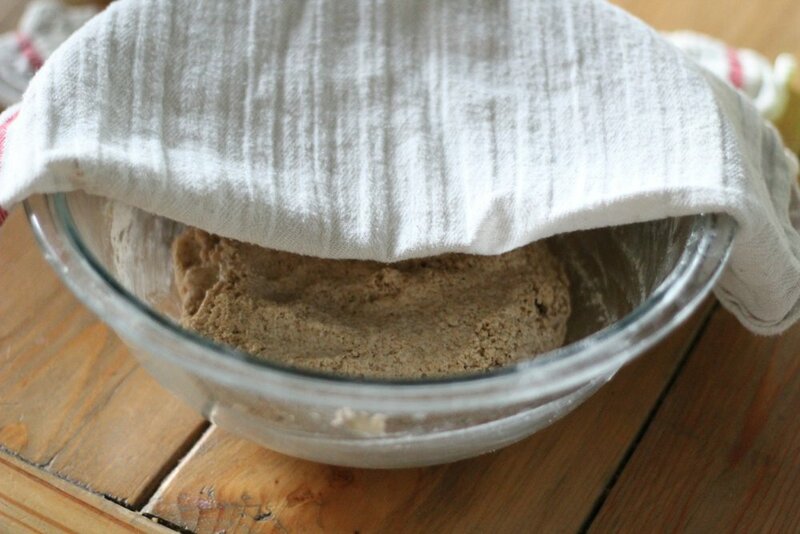 Sourdough is a way to ferment grains, so that the nutrients are more readily available for digestion. The “souring” process helps to break down the anti-nutrient called phytic acid that is found in the bran of a whole grain. The natural bacteria in sourdough helps to predigest the starches in the grains and the resulting product also usually has a lower glycemic index. 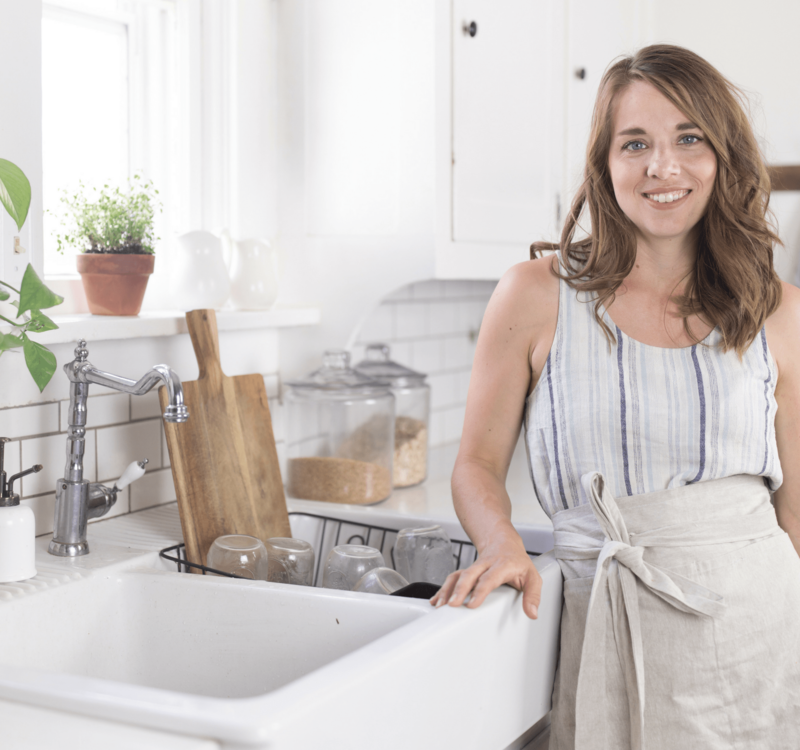 Just like other fermented foods, sourdough is a gut healing food, because it provides the body with beneficial bacteria. Basically, if you’re going to eat grains, it is best if they are first soaked or fermented. I learned how to make a sourdough starter on a website called GNOWFGLINS about five years ago and my starter has been thriving ever since, becoming better with age. 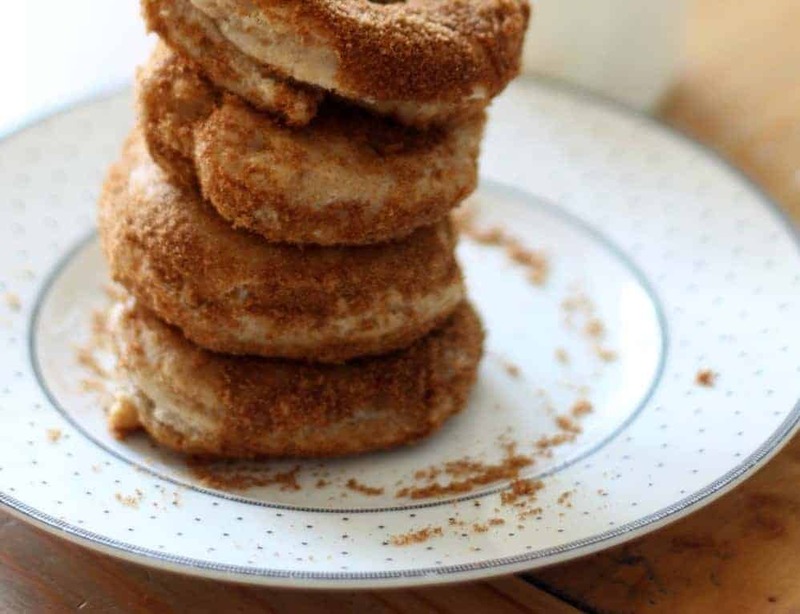 We use it to make pancakes, english muffins, bread, cake, brownies and even doughnuts! Sourdough is the way Ma Ingalls made bread. Those handy little packets of yeast that you find in the store today weren’t available back then. She relied on the yeasts of the air to rise her baked goods. And if its good enough for Ma, it’s good enough for me. 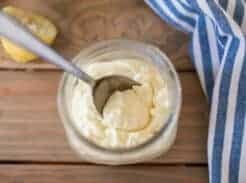 UPDATE: You can make your own starter, if you’ve got that DIY spirit, using the directions from a post I wrote on how to make your own sourdough starter. You can also order it from a good company called Cultures For Health. 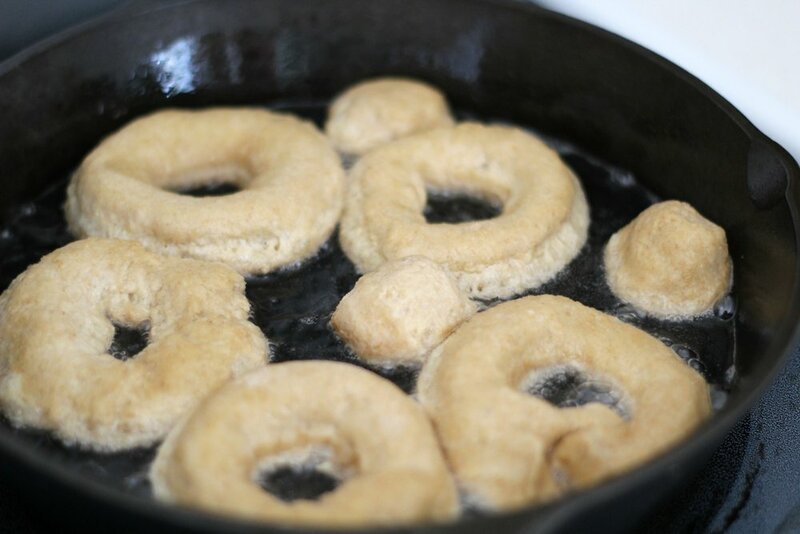 The night before you plan to make the doughnuts combine the flour, starter and water in a bowl. Cover with a tea towel and let sit overnight. 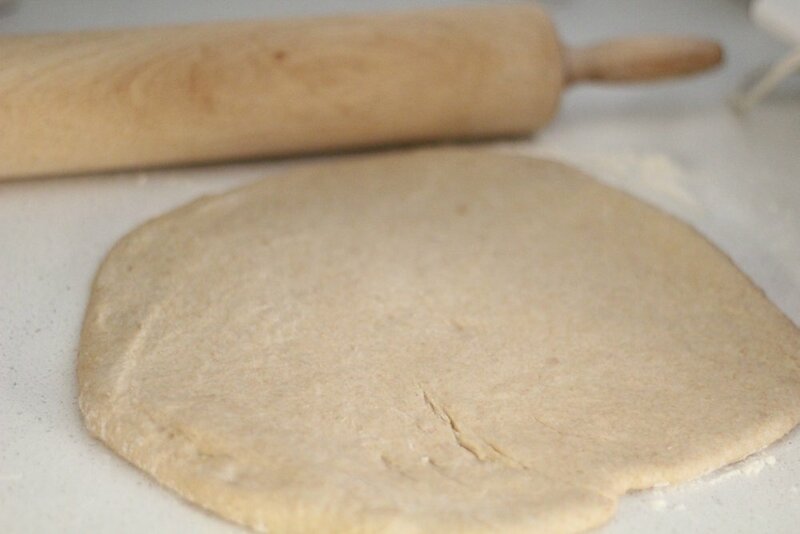 Roll out on a lightly floured surface. 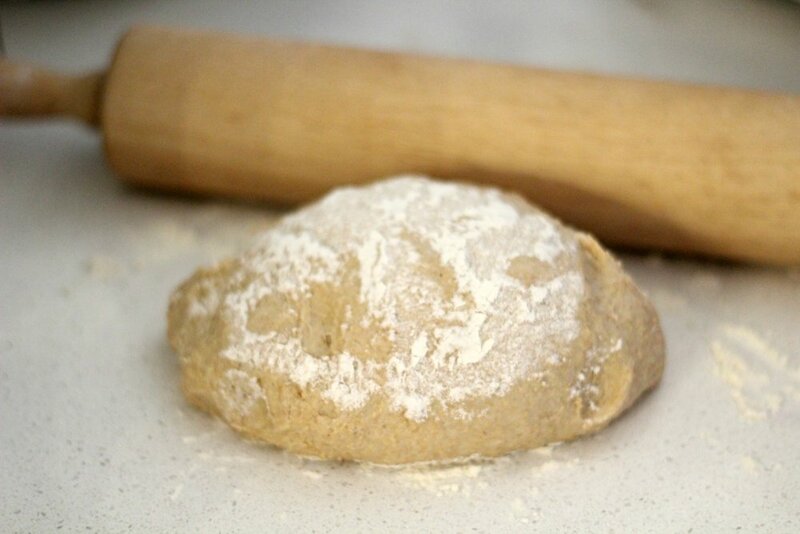 Only use as much flour as needed because if you add too much these tend to get dense and bready. 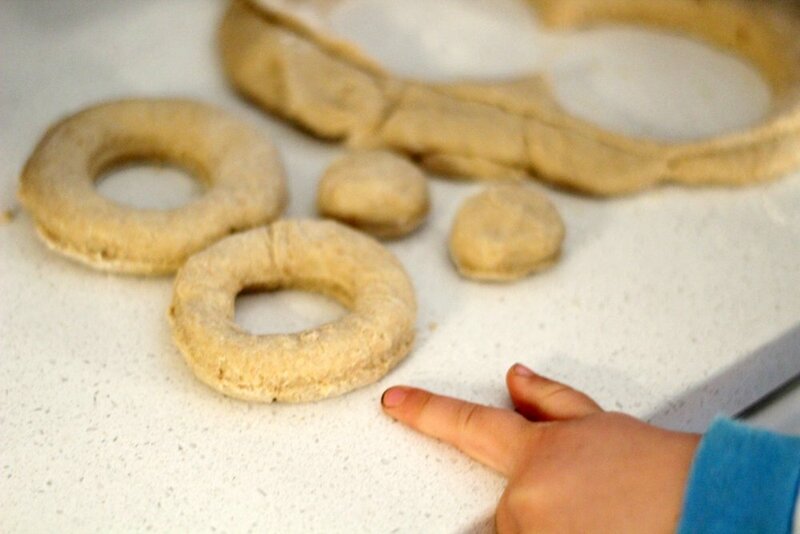 Next use a doughnut cutter to cut them out. We used a cup and a smaller bottle type cup to cut the center, since we don’t have a doughnut cutter. That little finger there is trying to point out which one he wants to eat. Next, heat the frying oil over medium heat until it sizzles when something is added. 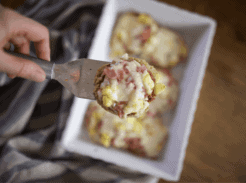 Pour yourself a large mason jar of fresh milk and serve immediately. Enjoy! 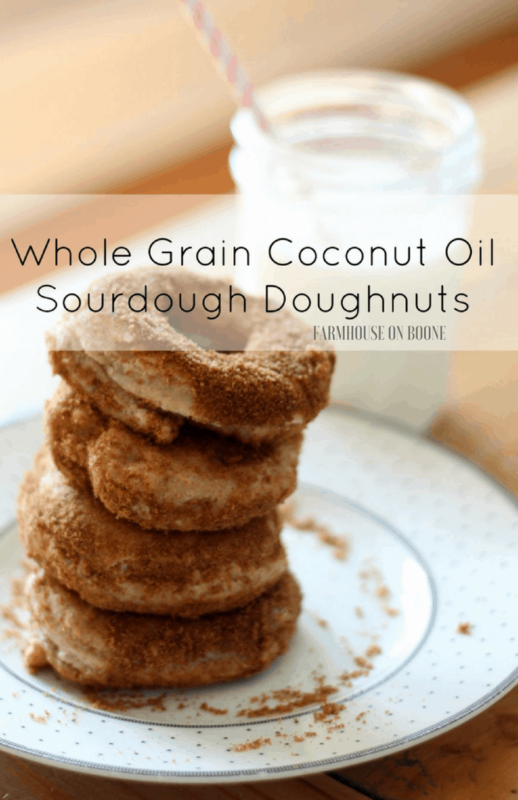 Enjoy delicious and healthy whole grain coconut oil sourdough donuts for breakfast or for dessert! 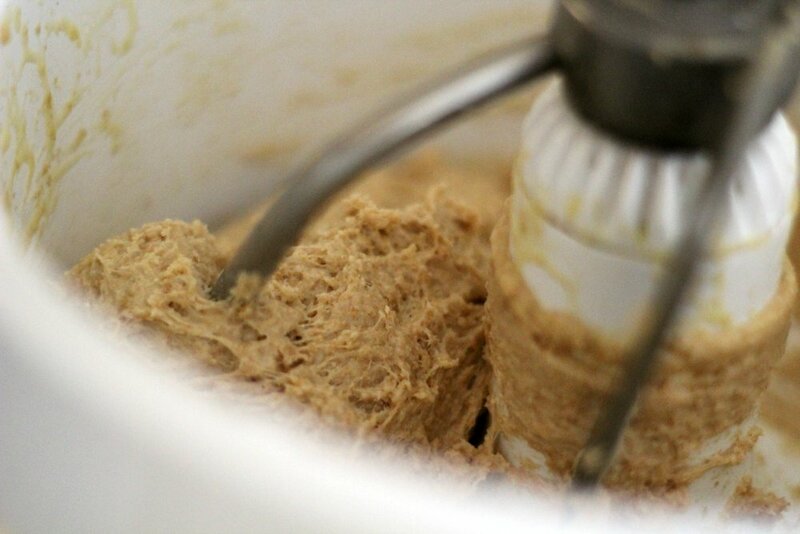 2 cup whole grain flour We grind ours fresh in a Nutrimill. 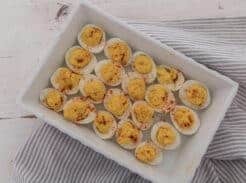 Looks yummy…can you use Amish friendship bread starter? I have heard of the amish friendship bread starter but I don’t know a whole lot about it. Doesn’t it use milk? People do pass it around and keep it going for years, right? Which Berkey water filtration system do you have. How often do you have to change the filters with your size of family. How many gallons of water to you probably go through a day. How long have you had yours . Do you think there worth the money. Thank you so much I’m interested in your input . I have this one: http://amzn.to/2CIgcS7 We have a family of seven. I have no idea how many gallons per day, but we all drink exclusively from it. The filters last a really long time, if you don’t break them. We have had ours seven years, and replaced them twice. Both times only because a kid knocked it over and broke one. Even if there is a hairline crack they won’t filter properly. You can test them to see if they are still working. You put food coloring in the top basin and put each filter over a clear glass. They should filter out all the color. We love our Berkey! Good morning! 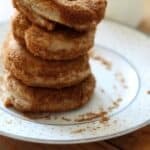 I am making these donuts this morning and while they rise I wanted to ask if you have any advice for cutting them out. Is there a strategy? I used a circle cutter and a small cup for the middle but lifting it up made a mess despite the floured work surface. I eventually switched to donut sticks, and then small squares rolled into donut holes using my bench scraper. ? Thanks in advance! I love your posts! How do I start the sourdough starter from scratch?